This Queenstown family self-drive package is made specifically for families like yours. Our self-drive family ski options are certainly flexible, and we can tailor a package just for your family. 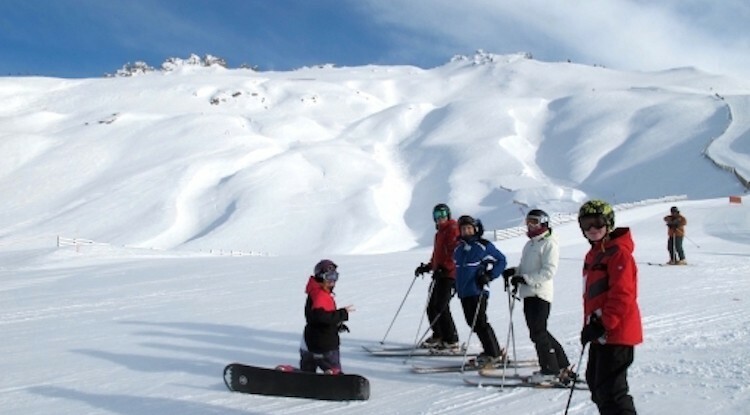 If you want to add another days skiing, add a lesson, mountain transport, or even baby rental equipment such as push chairs or toys, we can add that all in. Your holiday – your rules! NZ Snow Tours welcome pack full of goodies, that will bring smiles to your face before you even start skiing! Your accommodation is located just a short walk to central Queenstown. Please note, images featured are for example purposes only and not your confirmed accommodation/ room. All accommodation will be of a similar standard. NZ Snow Tours welcome pack full of goodies, that will being smiles to your face before you even start skiing! Enjoy the space of a one bedroom apartment and kitchenette. Central Queenstown is just a short walk away. Please note, images featured are for example purposes only and not your confirmed accommodation/ room. All accommodation will be of a similar standard. Enjoy the space of a two bedroom apartment. You location is just a few minutes walk from central Queenstown’s. Please note, images featured are for example purposes only and not your confirmed accommodation/ room. All accommodation will be of a similar standard. *Rental car terms and conditions apply. **In the event that we cannot secure your accommodation due to availability, we will provide you with a similar alternative. If this arises, we will let you know before we process your booking.